Take luxury fashion to new heights with this exceptional diamond charm pendant from Louis Vuitton. 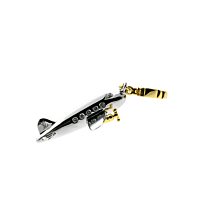 With an 18k white gold airframe, matching 18k yellow gold propellers and numerous glittering diamonds standing in as windows, this pendant is downright irresistible. 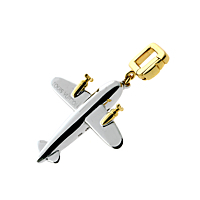 An ideal gift for the pilot, frequent flyer, or aviation enthusiast in your life!